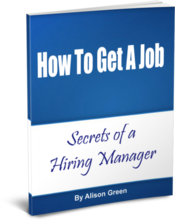 Written from my perspective as a long-time hiring manager, this e-book gives you step-by-step guidance through every stage of your job search … explaining at each step what a hiring manager is thinking and what they want to see from you … from getting noticed initially, to nailing the interview, to navigating the tricky post-interview period, all the way through your offer. You can also give the book to your job-hunting friends and family — email me privately before you purchase to arrange for a gift message to be included. I’ve seriously used this e-book to help me get my first out of college internship, and then my first full time job (where I’ve now been for almost two years.) It’s fantastic advice. How was it compared to the site? Is it the same stuff just in more detail, or totally different? Definitely not totally different. Organized in a more helpful way, certainly. Thanks I’ll check those out! Out of curiosity, Alison, is this an e-book that gets updated? I know some reference e-books have periodic and ongoing updates, and others are like hardcopy books–it is what it is until another edition comes out. I’m not job hunting currently, but if this won’t get updated (and you don’t foresee updating it for a while, if ever) I might grab it now anyway. If my advice on anything that’s in there ever changes, I will update it … but so far that hasn’t needed to happen. So while I don’t rule out the possibility of an update at some point, I don’t have any plans for a new edition so far. 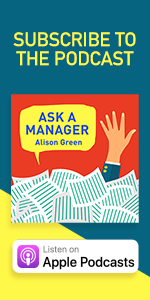 Alison – Do you need an tablet like a Nook or Kindle to read it? Or can it just be saved to my computer? I’m not savvy enough to have tablets! You can read it on any electronic device that you can read a PDF on — computer, Kindle, Nook, ipad, or anything else electronic! So you should be fine just using your computer. I paid full price and it’s definitely worth it! Alison’s advice is super straightforward and helpful. 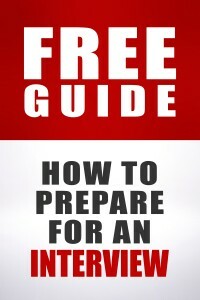 It is similar to the blog, but it’s better organized and focuses more on tricky questions (firing, unemployment, etc.). 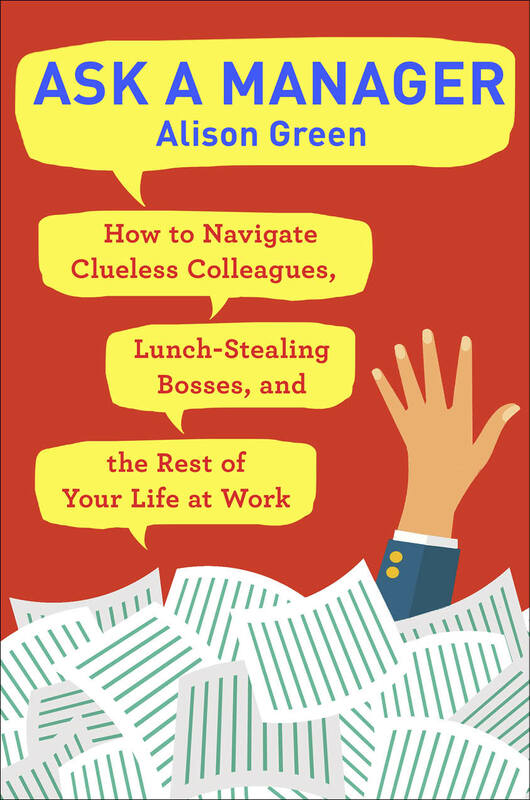 As soon as I read this book and started taking Alison’s advice I started getting interviews and job offers! I absolutely recommend it to everyone, you’ll be so thankful that you read it! I bought it too. It really helped me revamp my cover letters. Thanks for offering this again, Allison – your blog has been so helpful to me this past year. Two quick questions, since I don’t think I’ve seen them answered anywhere: about how many pages long is this book? And is there somewhere we can see a table of contents? That’s a pretty good example of what to expect in the ebook. I bought the book i hope it helps me get hired!